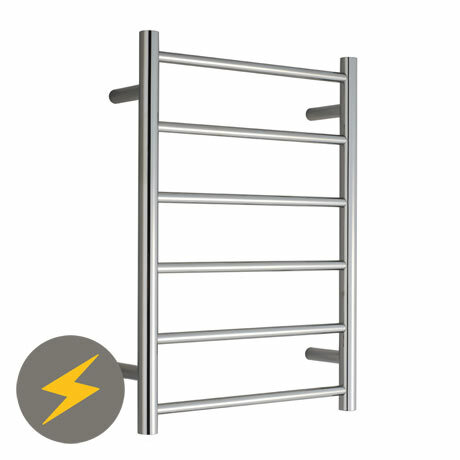 This Warmup electric heated towel rail has a sleek and contemporary design suitable for any modern bathroom. Delivering even heat all at once and energy efficient, it has a discreet concealed cable kit. For installation convenience the rail comes with a fixing accessories kit which also includes a diamond drill bit for tiled walls. Electric Only Radiators - filled with a thermo-dynamic fluid. Very good quality on the finish. Works great for our bathroom.